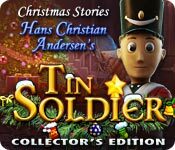 Christmas Stories: Hans Christian Andersen's Tin Soldier Collector's Edition is rated 4.2 out of 5 by 98. Rated 5 out of 5 by idbogue1955 from Love Christmas Stories: Hans Christian Graphics are fantastic, story line is great, and enough challenge to make me want to play it again! 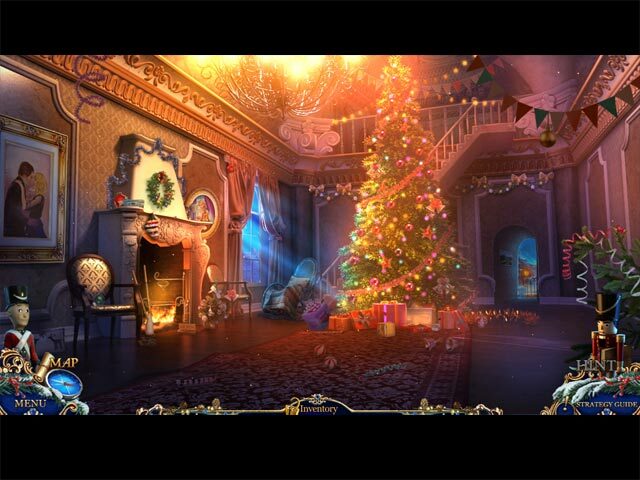 I love all the Christmas Stories games and wish there were more of them! Rated 5 out of 5 by tutortime from Excellent Holiday game. I purchased this game at the first of the year and waited to play it until Christmas time. Very good game. Graphics and story line were good as well as the music. The bonus game was very short and not a typical bonus game. Not sure the CC edition was worth the extra money on this game. Rated 5 out of 5 by kcoh61 from It's CHRISTMAS MORNING....Race you to the tree.... Another wonderful Christmas Story Adventure. Doesn't matter the level of challenge, etc...just a great game to enjoy. The only games out there, that make me smile, laugh and really love the Christmas Time of year. Such great graphics, background and theme. I find myself laughing, smiling and really enjoying the WHOLE focus of the game. Keep up the good work.....you developers......for a wonderful series, that makes all of us feel warm and wonderful during this time of year......KUDOS! 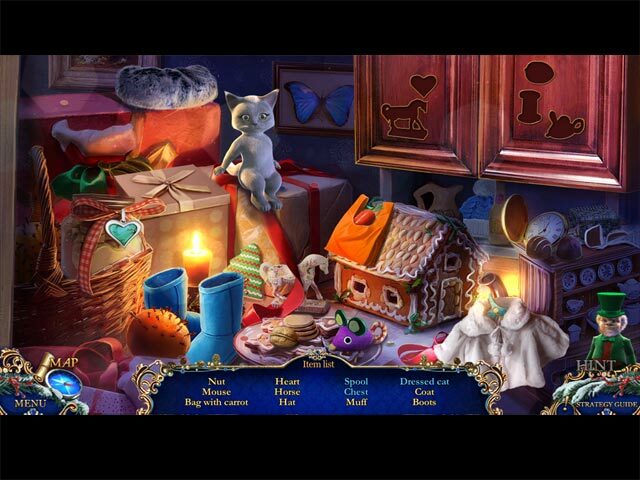 Rated 5 out of 5 by Mrs_Kim from Truly Christmas magic I was quite late in playing this game, 3 months after Christmas!but still this game is good to be played anytime during the year. Love the story, characters and animation. Crystal clear graphics, beautiful classical music.. everything about this game speaks magic. I dont usually check extras but I think the main game is good enough in itself. I did enjoy the first two games in the series and this one is also a definite buy! Rated 5 out of 5 by altona1 from Excellent I just loved it and enjoyed it really much. Best game ever I played. Rated 5 out of 5 by deeanddeeann from BEAUTIFUL!!! the saga continues...... this is so beautiful! charlie is the tin soldier, and they're all toys again! awesome games, this is so cool to the very end!!! Rated 5 out of 5 by aljora from Adorable and fun for the whole family! While the storyline really doesn't follow "The Steadfast Tin Soldier" by Anderson, it has all the elements of the other two Christmas Stories in the collection : The Nutcracker and A Christmas Carol. You've got The Tin Soldier to help you in tight spots, and the Nutcracker to give you hints. There are hidden Christmas presents in each scene, to find for your collection. A strategy guide is included, as well as a map, and you can "flash forward" to be transported to different scenes, without having to retrace your steps, and backtrack, each time. A good mix of puzzles, from easy to quite hard, and many interactive parts in the HOP's. The evil Baron and his trolls have kidnapped the Princess,and You and the Tin Soldier must rescue her from his evil clutches before midnight of Christmas morning, or they will all remain toys, forever! With the help of Santa and his Toymaker, you can reunite the Soldier and his Princess beloved! I'm already looking forward to next Season's addition, to the Christmas Stories Series. Rated 5 out of 5 by luvmy3bigboyz from Greatly anticipated sequel! I love the Christmas story series! This game is a new take on the story of the devoted tin soldier (George- here) and our old friend the Nutcracker makes another appearance to help us out in the form of the hint button. An interactive map, sparkles, hints and lots of beautiful graphics! You do have the option to play casual or harder modes and the CE is worth it with extra gameplay. The music is soft and Christmasy and it is just a joy to play this close to the holiday. Enjoy! And Merry Christmas! Rated 5 out of 5 by ushie15 from Delightful and relaxing! True Holiday Pleasure! This is the best of the "Nutcracker" games so far! I am really enjoying the gameplay, the artistry, the voicework, the Christmassy themes and items! The bonus games, featuring kitties, are so cute! I rarely write reviews, but this game is a special treat for all, invoking sweet holiday stories and images and so putting me into the Christmas spirit! Such delightful fun! Rated 5 out of 5 by Doriane333 from Wonderful! A real xmass tale with all magic and wonder needed. I loved the first one and people who liked it too, will be served here. I really enjoyed it till the end of the end! CE worth the expense.